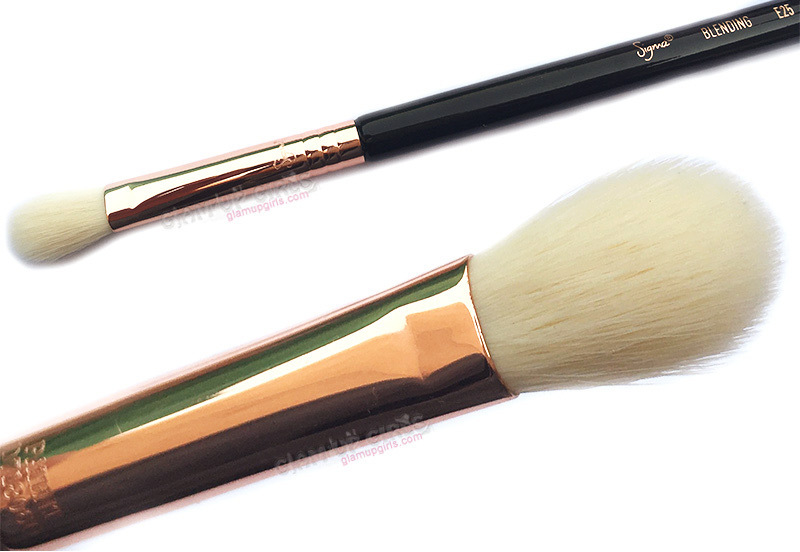 Good makeup brushes create a whole lot difference in you makeup look, trust me. 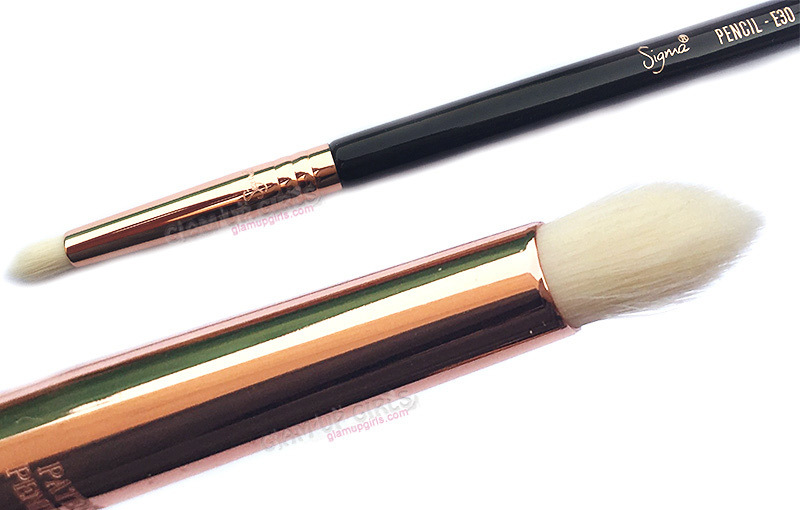 I used to do my makeup with ordinary makeup brushes but since i have used a brushes from Sigma beauty, i am totally hooked to them. With these brushes you get right amount of product with good color payoff and a lot of difference is visible in smudging and blending. In this post i will share 6 best Sigma eye brushes must have for flawless eye makeup. The 5 eye brushes which include E40, E06, E30, E55 and E20 are from Sigma basic eye kit set and one brush E25 is single blending brush. There are many other eye brushes in sigma collection but these are some of the basic ones from which you can achieve flawless eye makeup. Lets explore these brushes one by one. This brush has soft and long bristles which are not dense and have round shape. 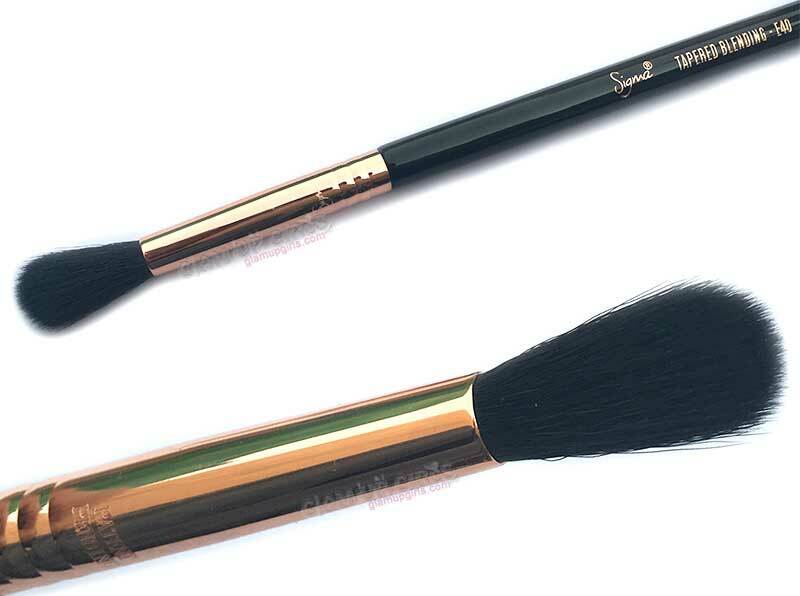 This brush is great for applying base shade on whole lid and can be used on brow bone for highlighters. It provides great movement across the eye lid and blend eye shadow like dream. This is one of my favorite brush. This brush is tapered but fluffy having dense and soft bristles. 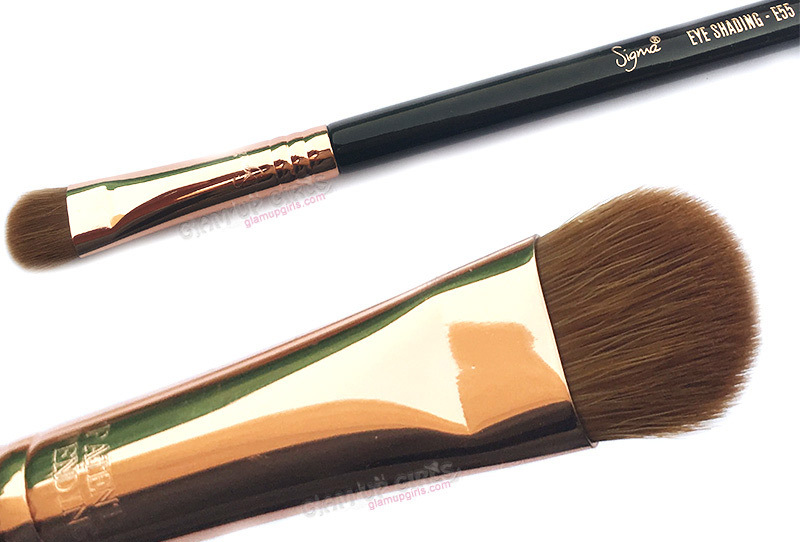 I love this brush for blending and applying shades on outer corner and crease. It is one must brush for blending. I have reviewed this brush separately here. It is great to apply shimmery or matte shades on the lid perfectly and is one of my most used brush. 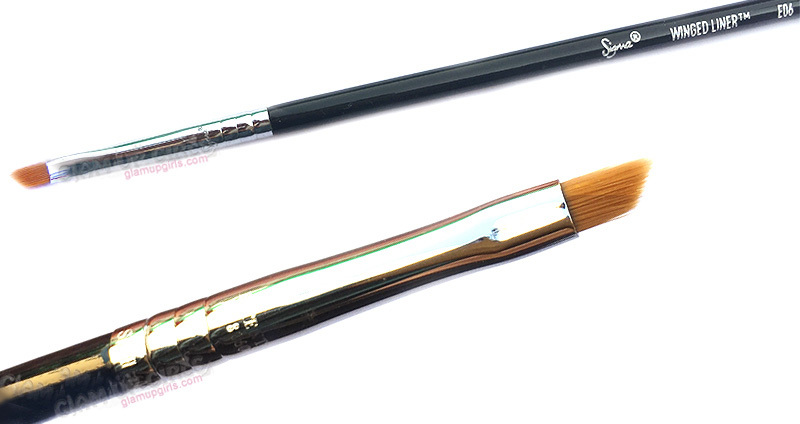 The E20 Short Shader Brush features a small, soft brush head great for smudging out color along the lash line. Offers superb control when applying color to very small areas of the eye. 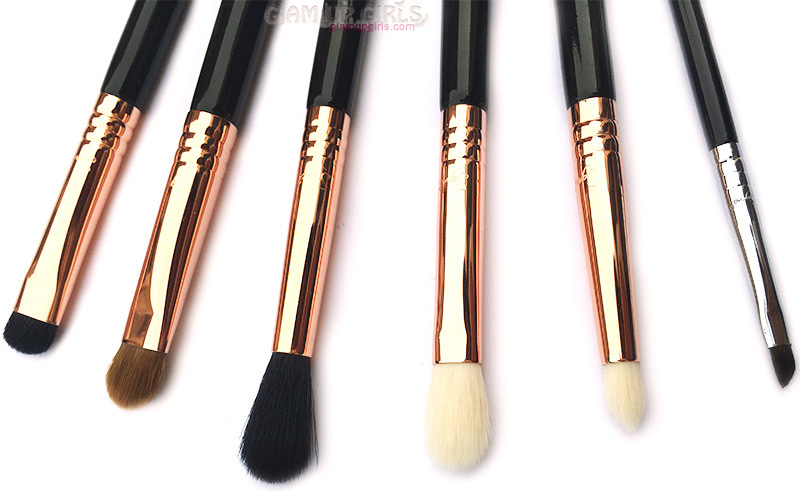 This brush have soft precise head which is perfect for to apply color on smaller areas like under eye smudging, outer crease for cut crease or for high lighting brow bone. This brush have stiff bristles with small angle which is perfect for precise line either for winged liner or straight line. If you struggle applying eye liner this brush will be game changer for you. Soften and smoke out lines. Soften pencil liners along the top and bottom lash lines, add shadow to line the eyes, or use to highlight inner corner of the eyes. It is long round brush having dense but little stiff bristles.I love this brush to apply color on lower lash line and can be used to highlight inner corners. It is perfect to work with crease and help creating cut crease look. 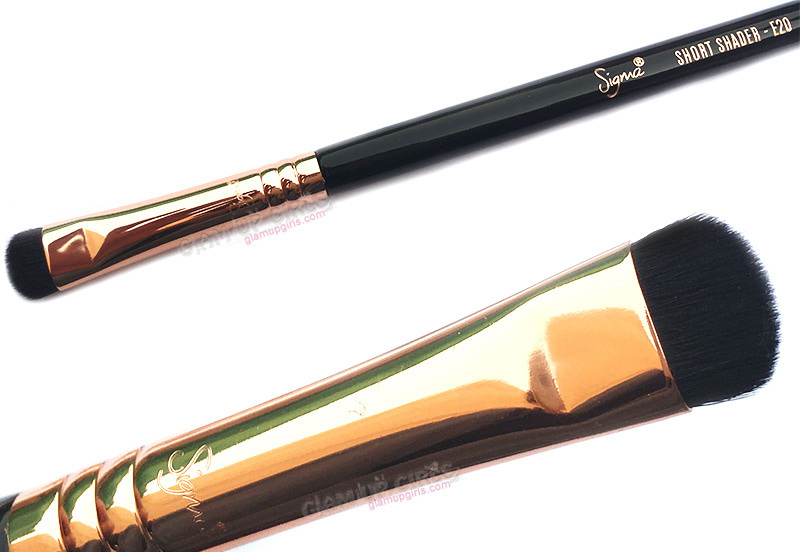 Do you have Sigma brushes? Which one is your favorite?